The hydrogeomorphic (HGM) approach for developing “rapid” wetland function assessment methods stipulates that the variables used are to be scaled based on data collected at sites judged to be the best at performing the wetland functions (reference standard sites). A critical step in the process is to choose the least altered wetlands in a hydrogeomorphic subclass to use as a reference standard against which other wetlands are compared. The basic assumption made in this approach is that wetlands judged to have had the least human impact have the highest level of sustainable performance for all functions. The levels at which functions are performed in these least altered wetlands are assumed to be “characteristic” for the subclass and “sustainable.” Results from data collected in wetlands in the lowlands of western Washington suggest that the assumption may not be appropriate for this region. 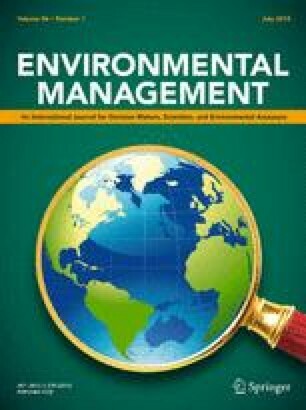 Teams developing methods for assessing wetland functions did not find that the least altered wetlands in a subclass had a range of performance levels that could be identified as “characteristic” or “sustainable.” Forty-four wetlands in four hydrogeomorphic subclasses (two depressional subclasses and two riverine subclasses) were rated by teams of experts on the severity of their human alterations and on the level of performance of 15 wetland functions. An ordinal scale of 1–5 was used to quantify alterations in water regime, soils, vegetation, buffers, and contributing basin. Performance of functions was judged on an ordinal scale of 1–7. Relatively unaltered wetlands were judged to perform individual functions at levels that spanned all of the seven possible ratings in all four subclasses. The basic assumption of the HGM approach, that the least altered wetlands represent “characteristic” and “sustainable” levels of functioning that are different from those found in altered wetlands, was not confirmed. Although the intent of the HGM approach is to use level of functioning as a metric to assess the ecological integrity or “health” of the wetland ecosystem, the metric does not seem to work in western Washington for that purpose.